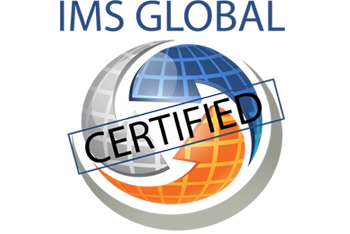 Peerceptiv, a provider of collaborative learning technology, achieved Caliper 1.1 conformance certification today from IMS Global Learning Consortium. Caliper-enabled data allows institutions to understand, visualize, and improve learning outcomes through better understanding of student usage and learning activity data. Peerceptiv will release its new Caliper-certified data feature as part of a larger initiative to increase its own data and analytics offering. Peerceptiv will be implementing its new Administrator Dashboard, allowing department chairs, instructional resource officers, and other administrators to make data-driven comparisons across courses and programs and drive improvement at their institutions. Peerceptiv offers research-validated peer assessment, allowing instructors to more easily engage students and develop writing and critical thinking skills. Peerceptiv facilitates peer and instructor feedback-sharing and collaboration, and is frequently used to more effectively scale learning in higher enrollment courses. The new Administrator Dashboard will allow administrators to access all Peerceptiv courses, manage activity, and measure outcomes with a single login. About Peerceptiv: Peerceptiv is a research-based collaborative learning company. Based on more than a decade of research from the University of Pittsburgh, its peer assessment platform has been used by more than 125 colleges and universities, as well as dozens of K-12 schools, to support educators in improving students’ writing and critical thinking skills. Peerceptiv scales naturally no matter how many students there are, what the subject is, or if in the classroom or online.